The Seahawks are joining the mobile-ticketing trend, following in the footsteps of several other NFL teams. They say going paperless is the wave of the future for all major spectator events. But it has left some fans irritated. 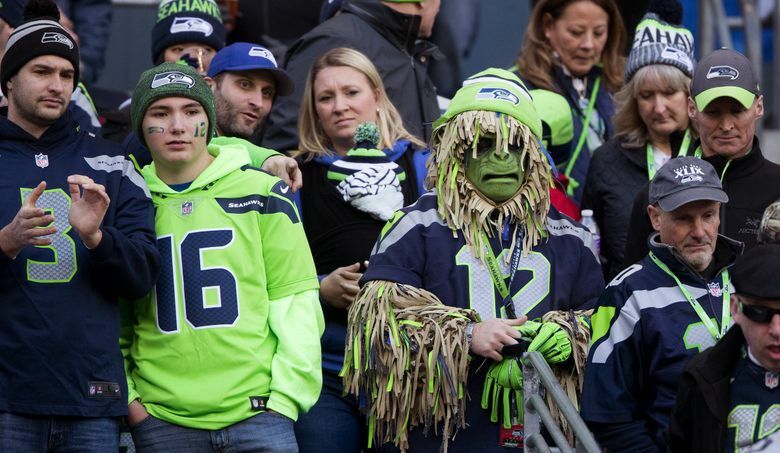 Count the Seahawks among NFL teams transitioning to mobile tickets. The team announced this week via e-mail to its season-ticket holders that it is “excited to introduce an expanded mobile ticket offering for the upcoming 2018 season!” That includes the option for all season-ticket holders to get their tickets in either printed form or via a mobile device. For this year, holdover season ticket holders can get either for the same price. New season-ticket holders, meanwhile, have to pay an additional $35 if they want printed tickets, the Seahawks said. Beginning next year, any option for printed tickets for either new or existing season ticket holders will come with an extra fee attached (prices for future years have yet to be set). The Seahawks say going paperless is the wave of the future for all major spectator events, including the NFL — the 49ers, Chiefs, Broncos and Bears are among the teams already having introduced mobile tickets. While the team says response has been overall positive and wrote in the e-mail that “our ticket holders who gave it a try last year rated their mobile ticket satisfaction a 3.7 out of 4,” some fans have taken to social media and elsewhere to state their unhappiness with the plan. The Seahawks also say that the gift that has long been part of the box of season tickets sent to fans will continue. Single-game tickets are also going mostly mobile. Only tickets purchased at the box office in a one-time event in July will be paper this year. Some fans have lamented on social media that they enjoy having the paper tickets as mementos. But the team says an option to have printed tickets will remain for the foreseeable future, but with a cost. The team also says there will be “Mobile Assistance Centers available on site to assist with any mobile inquiries” and that season-ticket holders with questions now can call the team’s ticket representatives. The team also stated in its e-mail that “Season Ticket Holders who opt-in for mobile in 2018 will be eligible to receive a variety of rewards and exclusive prizes!” writing further “We get it. Going fully mobile would be a change, but we are right here to support you along the way. View details of our two ticket options below and then select your choice for 2018.” Fans must submit their choice by Wednesday for the 2018 season.